for $139,000 with 2 bedrooms and 1 full bath. This 1,138 square foot home was built in 1917 on a lot size of 0.300 Acre(s). Back on the market!! Beautiful bungalow in the heart of downtown Mooresville! Only minutes walk to Main Street. Beautiful NEWLY finished open kitchen with new appliances, tile back splash and lighting. 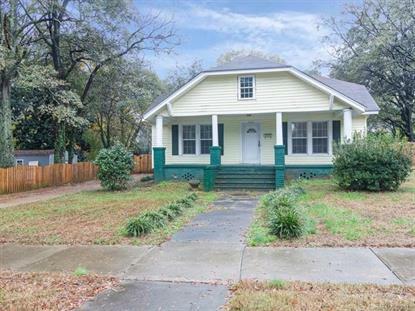 Gorgeous original hardwood floors and LARGE windows for plenty of light throughout. Washer & dryer on main level adjacent to kitchen. Newly UPDATED bathroom has two entries. Upstairs has potential for additional bedroom or bonus room with new g-insulated windows. HUGE, level backyard is completely fenced and ready for kids and dogs to play. A MUST SEE! !